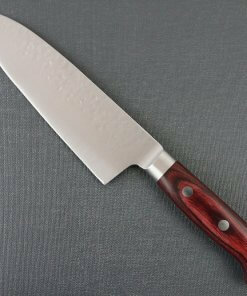 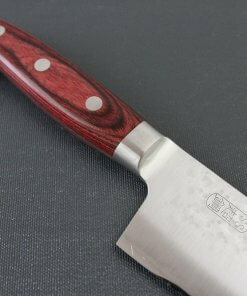 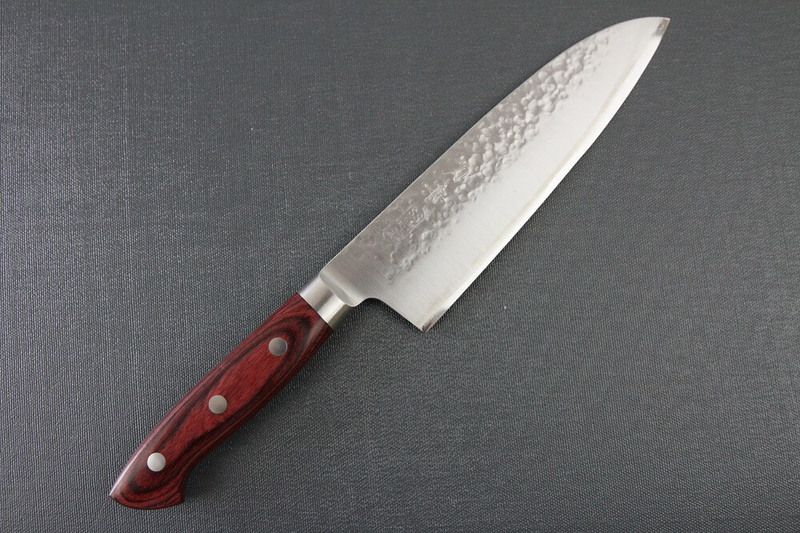 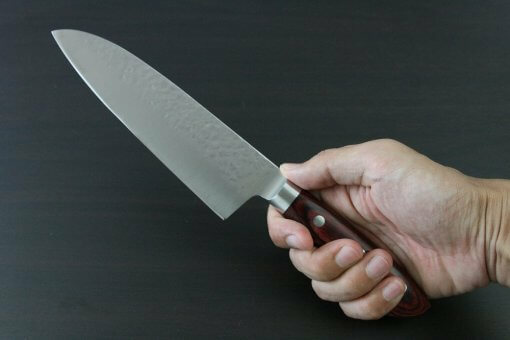 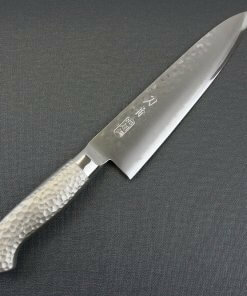 This knife has blade length of 170mm/6.69in which is slightly compact sized Santoku multi-purpose knives. 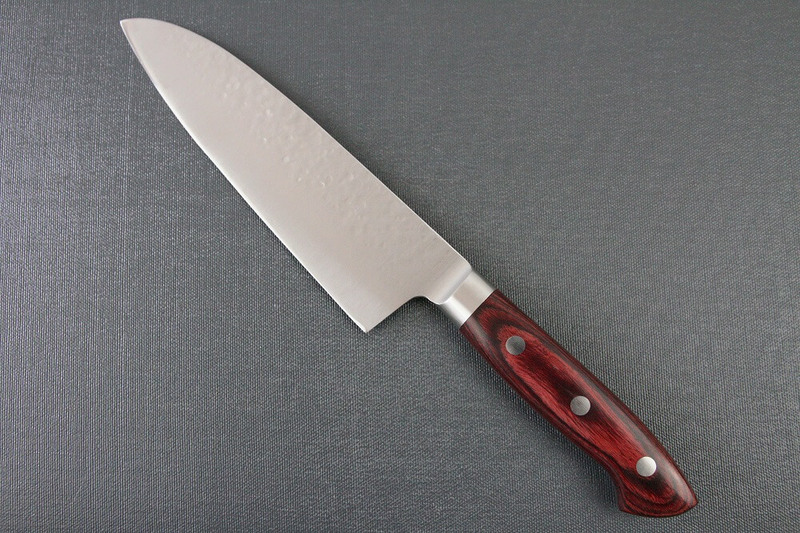 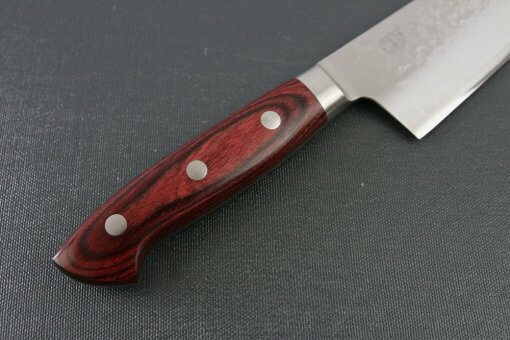 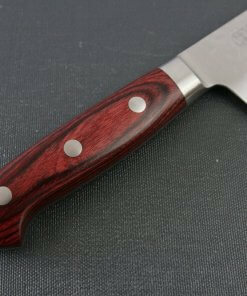 Those who prefer multi-purpose knife which can be handle easier or use in narrow space, this size may fit your purpose. 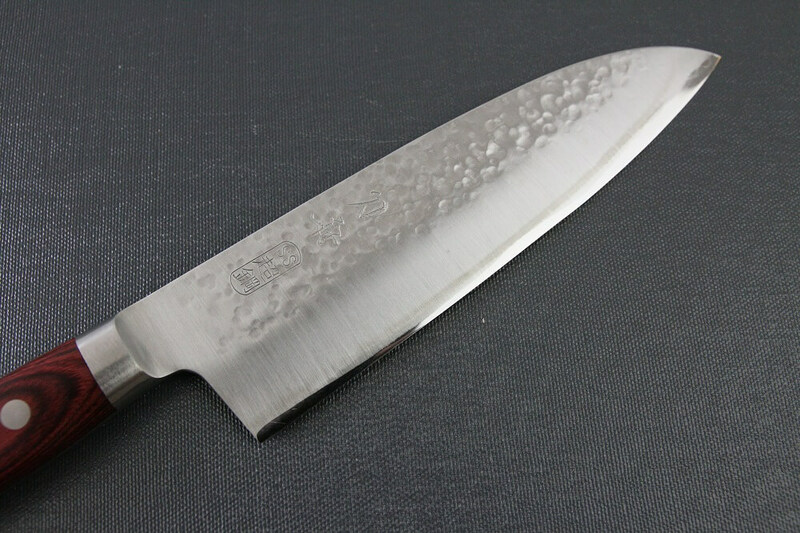 Santoku multi-purpose knives are good for cut everything, from small foods to large foods. 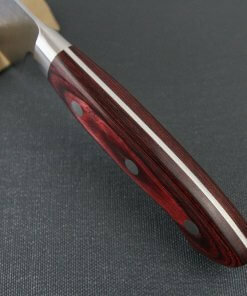 Blade of the knife is hammer finished. Its material is a fine blade material of VG-5 stainless steel, which is hard enough to cut sharply and easy to sharpen by yourself. 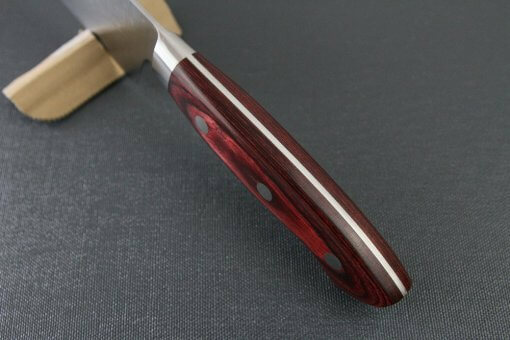 The beautiful wood texture handle is made of COMPLITE®, which is made by compressing resin coated natural wood layers under high temperature and high pressure condition. 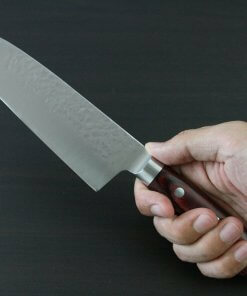 By this, COMPLITE® has 2-3 times durability compared to normal wood handles. 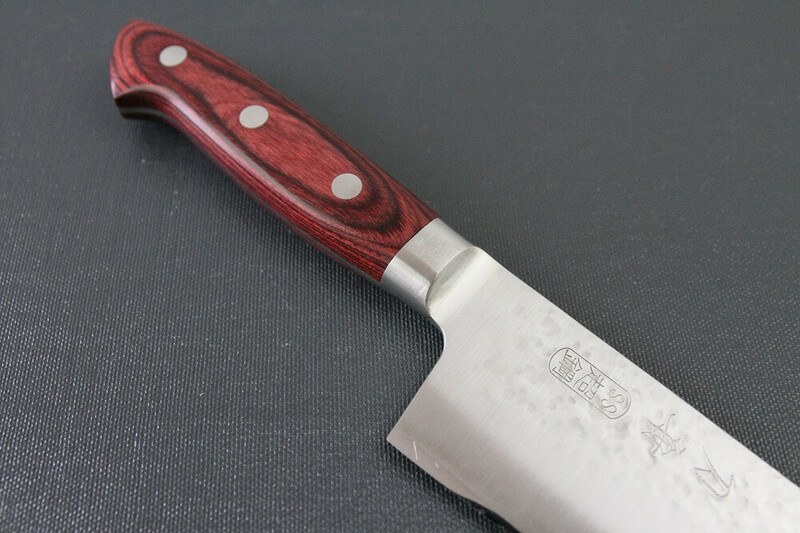 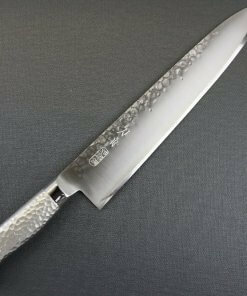 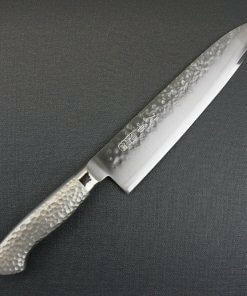 Toshu Santoku Special Selection Knife Series is the most beautiful stainless steel knives. This series has unique and coolest designs. 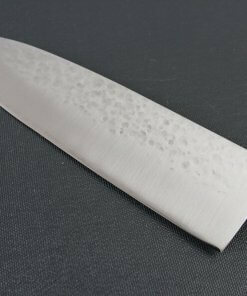 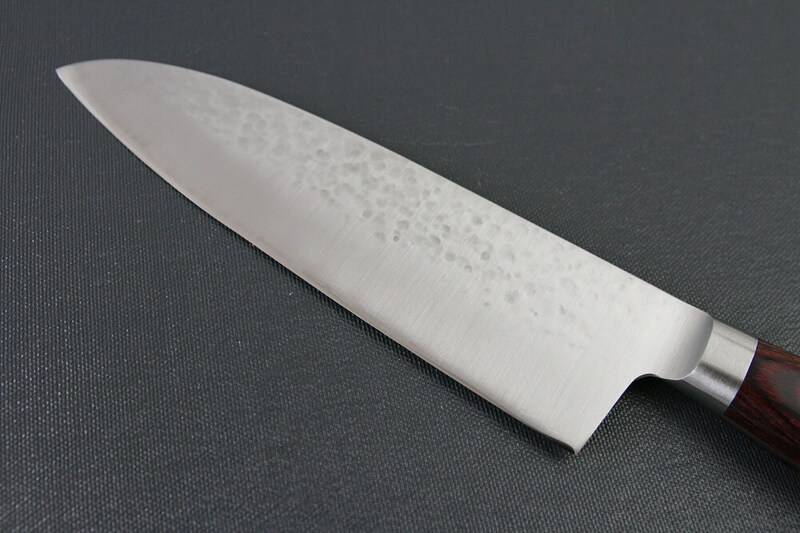 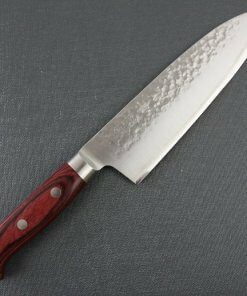 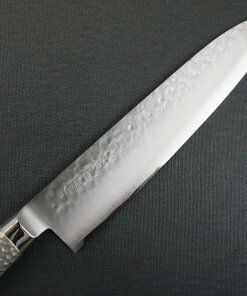 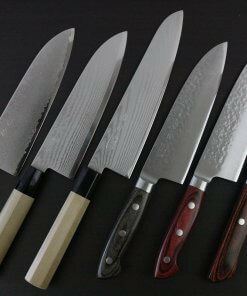 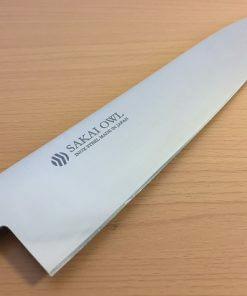 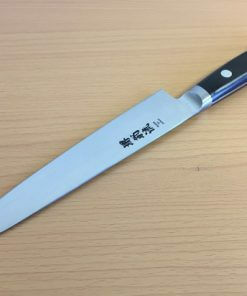 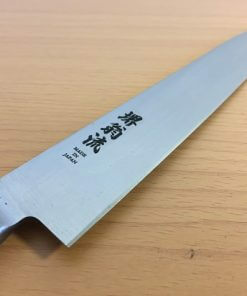 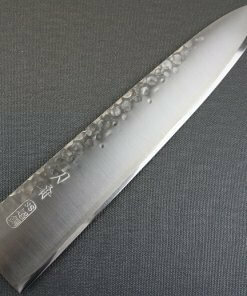 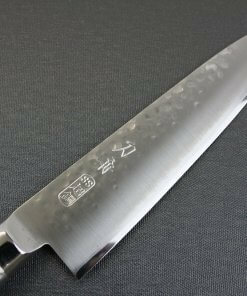 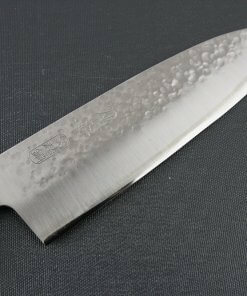 Toshu Santoku Special Selection Series knife blades are made of stainless steel, so it will never get rust. 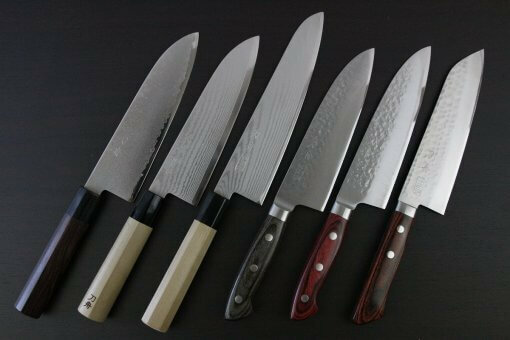 They cut best, but very easy to handle. 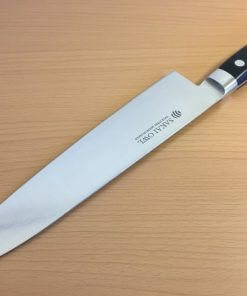 – This product is not dishwasher safe.